Anyone who calls themselves a true metal fan knows who Udo Dirkschneider is. The German man with the powerful gravelly voice was once the front man of heavy metal icons Accept. His tenure with Accept brought him worldwide fame and notoriety until they went their separate ways in 1988. 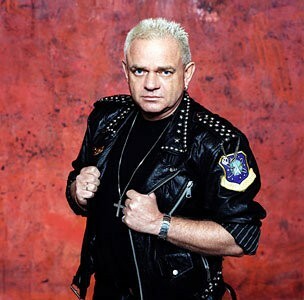 Udo Dirkschneider then launched his band U.D.O. and released the debut album ‘Animal House’, which was penned by his former bandmates, and has been releasing U.D.O. albums ever since and even reunited with Accept on a couple of occasions in the new millennium. I caught up with Udo for a phone interview as he is gearing up for some festival appearances across Europe to promote his new album ‘Rev-Raptor’. We spoke about ‘Rev-Raptor’ of course, his relationship with long-time guitarist Stefan Kauffmann, and U.D.O.’s return to North America. I would have to be out of my mind if I didn’t ask about Accept and his thoughts on their latest album ‘Blood Of The Nations’ — enjoy the interview. Sleaze Roxx: On your new album ‘Rev-Raptor’ you didn’t stray too far away from previous U.D.O. albums. You have a couple strong singles; “Leatherhead” and “I Give As Well As I Get”, which you shot videos for. How would you describe the album? Udo Dirkschneider: Well, what can I say — your latest album is always your best one. I think you put everything into your new album that you’ve learned over the years. I have to say that on ‘Rev-Raptor’ the band is playing great because we’ve had this line-up for several years. I look forward to doing more albums in the future with them. We can’t not sound like U.D.O. — as you said it’s our sound. Sleaze Roxx: Stefan Kauffmann, who was with you in Accept, was a drummer but switched over to guitar. When did you find out the guy could also play guitar? 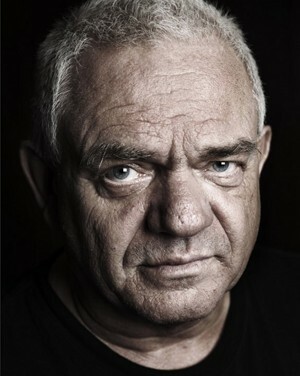 Udo Dirkschneider: Most people do not know this, but he was more into guitar than playing drums. He was more of a guitarist and the drums came second to him, but it’s what he was known for. Stefan stopped playing drums because he injured his back and he switched over to guitar permanently. When we were recording the new album ‘Rev-Raptor’ we had to stop for about three months because he started having issues with his back. He went to see a specialist and was treated at a hospital and we’re very glad that he’s made a recovery. Sleaze Roxx: Stefan has also proven to be a great producer as he has been working on U.D.O. albums beginning with ‘Faceless World’. How valuable is he to U.D.O.? Udo Dirkschneider: You and I were just talking about guitar being nothing new to him; producing was also very natural for him. He became U.D.O.’s producer when Accept disbanded after a two week tour for the ‘Eat The Heat’ album. I met with Stefan and he shared some ideas that he had for songs and we started to collaborate on songs. At that time I asked him if he wanted to produce what would become the ‘Faceless World’ album because it just seemed like the natural thing to do. When we were working with Accept he would help when we were doing the vocals. In fact he was responsible for the sound of Accept. People don’t know this but he helped get Wolf Hoffmann’s guitar sound on those albums. Stefan was a lot of help when we were arranging songs. What can I say — he’s multi-talented. Sleaze Roxx: You reunited with Accept in 2005 and then again in 2008. You played some festivals and were very successful. Udo Dirkschneider: Yeah we reunited in 2005 for some festival appearances. I have to point out that there were no plans to do more than these appearances. We did not have plans to record or continue further. There were promoters that wanted us to do this. I was on a break from U.D.O. so at that time I said, “Okay why not?” It was a lot of fun, but as I said, we weren’t going to do anything further. Sleaze Roxx: So it would not have not been possible to do both U.D.O. and Accept? 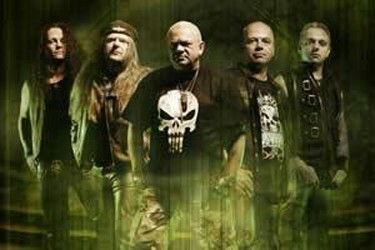 Udo Dirkschneider: For me I would rather not have two bands at the same time. I want to be able to concentrate on just one band. I have restarted U.D.O. twice at this point — the band has been in existence this time for 14 to 15 years now. I’ve been together with some of these guys in this band longer than I have been with the guys in Accept (laughs)! Sleaze Roxx: Did your decision have to do with a struggle for control of the name, money or both? Sleaze Roxx: Surely you must have heard Accept’s ‘Blood Of The Nations’ album — what did you think of it? Udo Dirkschneider: Yeah, you know it’s a good album. I expected a good album, of course if they have 15 years to write an album it’s going to be good (laughs)! What can I say — they did a very successful European tour, I wish them luck and we’ll see what the future will be for Accept. Sleaze Roxx: Compiling a set list for a tour must be difficult at this stage in your career. You have the U.D.O. back catalog and then you also have the Accept catalog that you were a part of. Udo Dirkschneider: You’re right! This is a complete nightmare (laughs)! Probably the most dangerous part of being a part of this band is putting together a set list — because you just cannot please everybody. We have to play the old U.D.O. songs and then we have to put in a couple of classic Accept songs and of course we’ll have to play a couple of songs from ‘Rev-Raptor’. We have the fans voting on our website so they get to help select the set list. There are classic U.D.O. songs and there are songs that we’ve never played live before. For our European festivals the fans have selected four Accept songs and all the classic U.D.O. stuff. For our tour that starts in September we will be playing mostly U.D.O. songs and maybe two Accept songs. Sleaze Roxx: It’s been a while since U.D.O. have played in North America. I imagine you’d like to play here again. Is that something that you’re looking into? When could we feasibly see you in the United States? Udo Dirkschneider: (laughs) What can I say? The last tour we did of North America was about ten years ago with Saxon. We’ve been trying to get another tour booked in America but we just haven’t had any good offers. We are trying to get the right package and the right offer to make it back to America. Right now our management is in contact with several American promoters about doing something in 2012. We have several European festival appearances booked this summer and then we’ll head over to Russia later in the year. With each album that we released we’d like to play America, but it has to be done right. Sleaze Roxx: A number of your contemporaries are shutting things down or slowing with age. The Scorpions have announced their retirement, Iron Maiden is touring sparingly in North America, and Judas Priest said they were done but now they say they are limiting their time on the road. How much longer do you think you’ll be doing this? Udo Dirkschneider: I would like to do this as long as I’m healthy and, the most important thing of all, as long as it is still fun. I really don’t know — I’d like to do this for another 10 years. I just don’t know. It’s really a lot of fun to be on tour with these guys, what can I say?